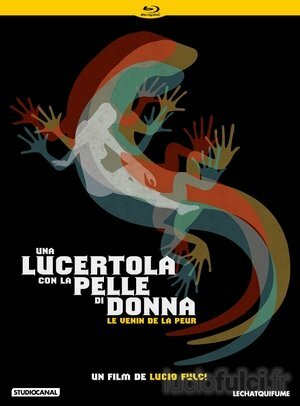 We have the pleasure to reveal the cover of the Bluray of A Lizard in a Woman’s Skin that is going to be released by the French label Le Chat qui fume. Le Chat qui fume is working on some other extras : an interview with Anita Strindberg or a documentary entitled SHEDDING THE SKIN. French subtitles for the Italien and English audio / English subtitles for the Italian audio. French subtitles for the italien and english audio / English subtitles for the italien audio. Le Chat qui fume wants to do preorders very soon. There will be some surprises for the ones who will buy the item on its website. Website (French) : Le Chat qui fume.